Hand-drawn Red Sonja 1976 T-shirt artwork by Frank Thorne, and an autographed Legends of Red Sonja comic book. This original inked artwork is rendered on Bristol board by Frank Thorne. 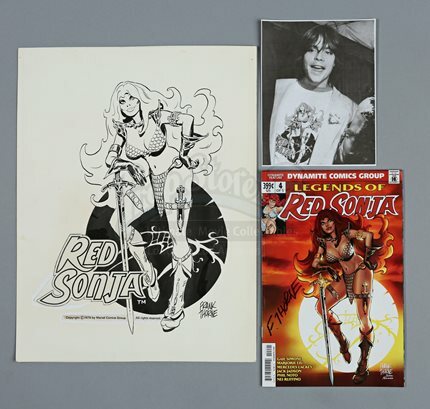 It was originally released as a T-shirt design in 1976 and was later published as the cover artwork for Legends of Red Sonja #4 in 2014. 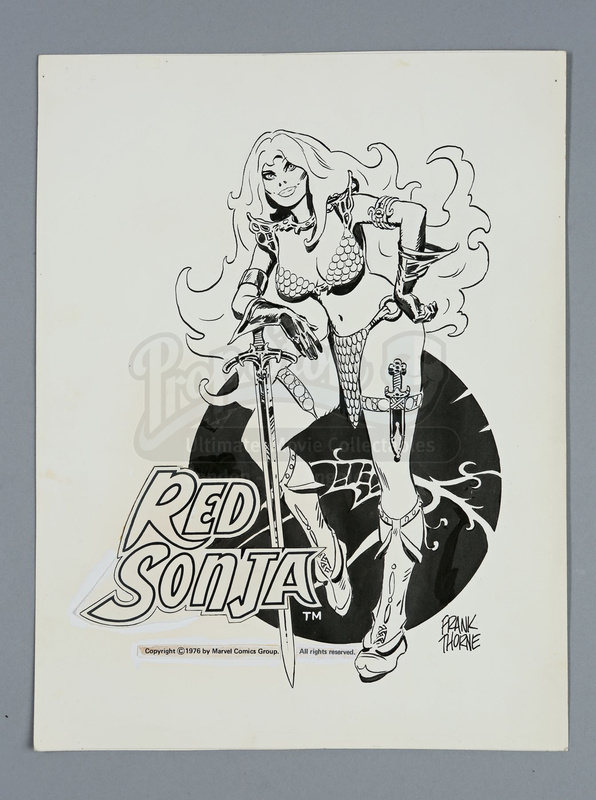 The art shows Red Sonja leaning against her sword, with a dark sun behind her. 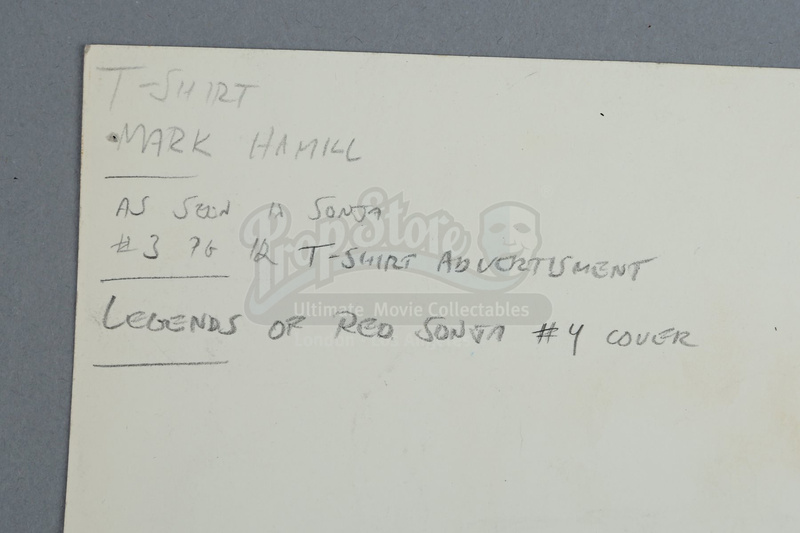 The artwork is signed by Frank Thorne at the bottom right of the sun. 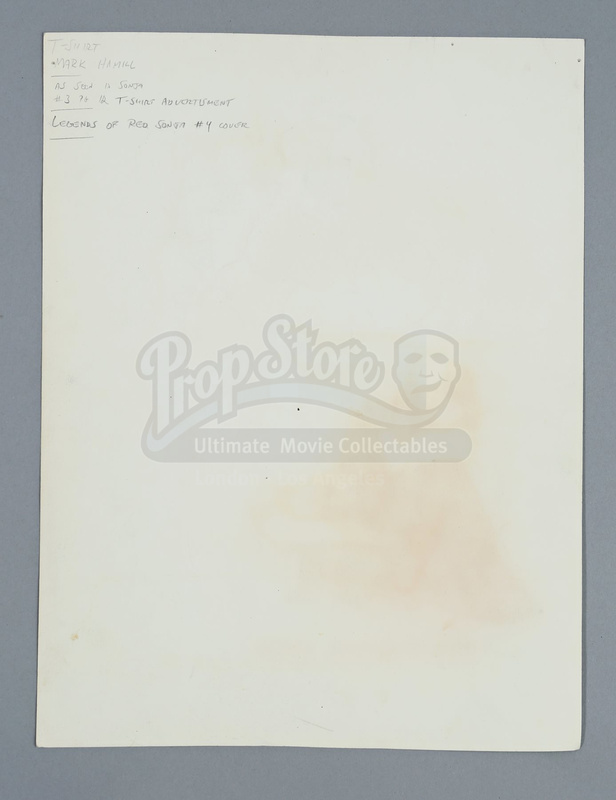 Pasted over the artwork at the bottom left is a title block and copyright information.